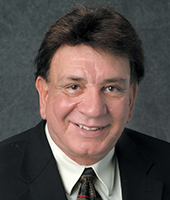 Richard Castro is a former teacher (Eagle Pass School District), City Manager (Del Rio), and real estate realtor and builder who began his franchising venture with McDonald's in 1983. Since then, his franchise has grown to 25 restaurants in West Texas that employ more than 1,000 employees. Mr. Castro is currently on the Board of Directors of Ronald McDonald House Charities and has served on the Chase Bank Board of Advisors, and the City of El Paso Public Service Board. In addition, Mr. Castro has received numerous awards and recognitions including the Chairman's Community Support Award of the Texas Association of Mexican American Chambers of Commerce, the Hispanic Business Man of the Year by the United States Hispanic Chamber of Commerce, and was honored with the 2005 Hispanic Magazine Entrepreneur Award. Mr. Castro received a Bachelor of Science degree from Southwest Texas State University, now Texas State University. Mr. Castro has been a director of WestStar since 2011.